If you receive an admissions letter and see that you’ve been accepted to a college during the summer semester, don’t worry. For a variety of reasons, colleges may change your starting semester from fall to summer. Feeling confused and frustrated is normal, but it’s important to realize that there are many benefits of starting college in the summer. Some colleges offer special summer programs to students to enhance their experiences. These include unique classes, daytrips, and study abroad opportunities. If you’re starting in the summer, make sure you talk to your college about any summer programs offered. At the University of South Florida, we have the Summer Academic and Cultural Engagement (ACE) Program. ACE is the summer session before the student’s first fall semester at USF. 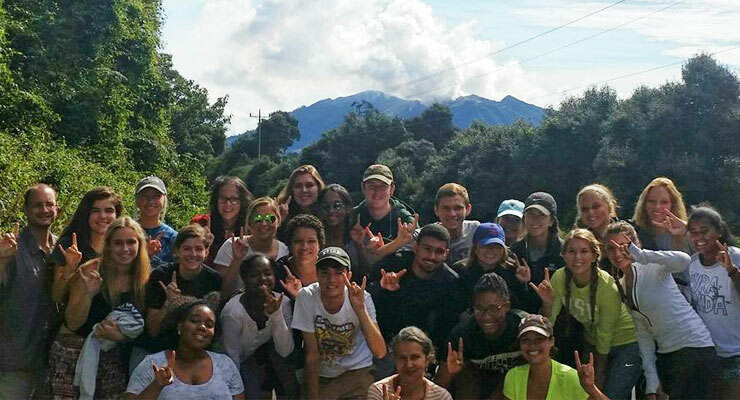 The program is an exciting opportunity focused on transitioning students into the USF and Tampa communities while introducing them to the joys of being a USF Bull. Students may be able to live in special housing with other summer program students. Summer ACE students live in cluster housing in Juniper-Popular (JP). They have the option to keep the same room from the summer throughout fall and spring, which is unique to the ACE Program. Many summer programs offer special community retreats and specific orientations to help students get to know one another and the college. ACE students attend CampU - included in the cost of their University Experience Course. Summer programs often have former program students as mentors for new cohorts. ACE students get additional ACE programming mentors to help them through challenging coursework and the adjustment to college life. Summer programs usually help students get ahead in their academics. ACE students will be enrolled full-time for the summer semester, taking six credits towards their major. They spend weeks 2-4 on campus and week 5 studying abroad. These summer programs often also help students complete required college courses. Florida law requires students take summer courses, and ACE helps you fulfill this requirement your first term. As part of ACE, students will enroll in one Foundation of Knowledge and Learning (FKL) course (three credits) and a related section of University Experience (three credits). Learning how to live on your own, take college-level courses, and navigate a new campus may feel overwhelming. However, freshman that start in the summer get a head start in adjusting to college life, which can pay off with both classes and making friends. You’ll have the opportunity to transition from high school to college in a more supportive environment, making the adjustment a little easier. You’re also more likely to meet students on campus who have been there longer. You can learn local tips, make friends and explore local attractions before everyone else moves in. ACE pairs six credits of academic coursework towards a student’s major with opportunities to get involved in social, leadership and service activities. When you start in the summer as a freshman, you can move ahead in your academics while the campus is quieter. 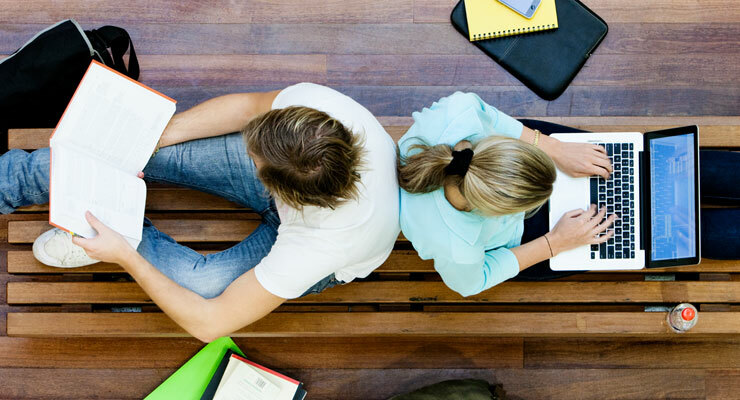 Typically, college campuses have fewer students and distractions during summer. This will help you stay on track to graduate on time and keep your course loads from becoming too heavy. Often, summer courses have smaller class sizes, giving you the chance for more hands-on attention from instructors. Summer ACE is designed to facilitate a purposeful transition from high school to college for new, incoming freshmen at USF. 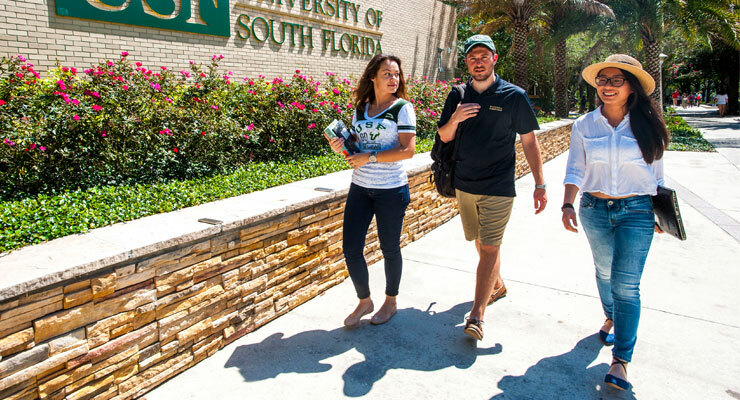 Through three weeks of academic courses and social activities on campus and one week abroad, ACE provides an introduction to the culture of USF and the city of Tampa. It also gives students a study away experience their first semester, before their schedules and outside activities get too hectic. If you receive a summer acceptance letter, remember there are many benefits to starting college in the summer. Want to learn more about ACE? Contact us online or give us a call at 813-974-3139. Emily Vasquez is the Digital Marketing Assistant for Accelerated Summer and Intersession Academic Programs within Innovative Education at USF. She is a student employee, majoring in Mass Communications with a focus in Public Relations. In addition to her roles within Innovative Education, Emily serves as a Communication Specialist for Student Government at USF.